Building on the heritage of the industry standard BM series of monitors, LYD-8 is completely refreshed and updated with the latest DSP and amplifier technology. If you have the space, the additional 8" driver size offers exceptional and extended bass response and power. Perfect for larger mixing environments and home studios, LYD-8 offers producers and musicians an authoritative and powerful studio monitor that, unlike a lot of other 8" monitors, still excels at low mix volume, while still maintaining the precision Dynaudio PRO is famous for. Each LYD-8 drive unit is bi-powered (50w HF/80w LF) by state-of-the-art Class-D amplifiers that feature a 96kHz/24bit signal path, plus a DSP used in just the right way offers the option to extend or curtail the low frequency response by 10Hz where needed, while both 'Position' and 'Sound Balance' controls ensure the best possible performance for any mixing or listening environment. LYD-8 uses Dynaudio's legendary handcrafted soft-dome silk tweeter with an aluminium voice coil to reproduce upper frequencies in a natural, uncoloured manner. Also, these type of tweeters donÕt give off any shrill high-frequency resonance that can plague some other designs, meaning you can work for long hours without ear-fatigue. For the lower frequencies, our trademark handcrafted 8" woofer is made from Magnesium Silicate Polymer (MSP), which offers the perfect balance between stiffness, weight and dampening. Combined with the better thermal behaviour of aluminium in itself and the die-cast aluminium basket of the LF driver, the overall sonic performance is improved with less thermal distortion. Using lightweight aluminium instead of copper allows for a larger diameter voice coil, which results in increased cooling and enables our flat cone design to give better off axis frequency response, and means transient response is blazingly fast. The LYD series features an all new Class-D amplifier design. LYD 8 is bi-amped using using a 50W channel for the tweeter and a 80W channel for the woofer. The digital amplifiers feature a 96kHz/24bit signal path and the crossover is handled by an Analog Devices DSP. The DSP also processes the Bass Extension, Sound Balance and Position tuning modes. Different input sensitivities can be chosen to account for different types of studio equipment and players. The amplifier also offers a selectable Standby Mode to save energy when the monitor detects silence. An incoming signal will quickly wake the monitor out of standby. 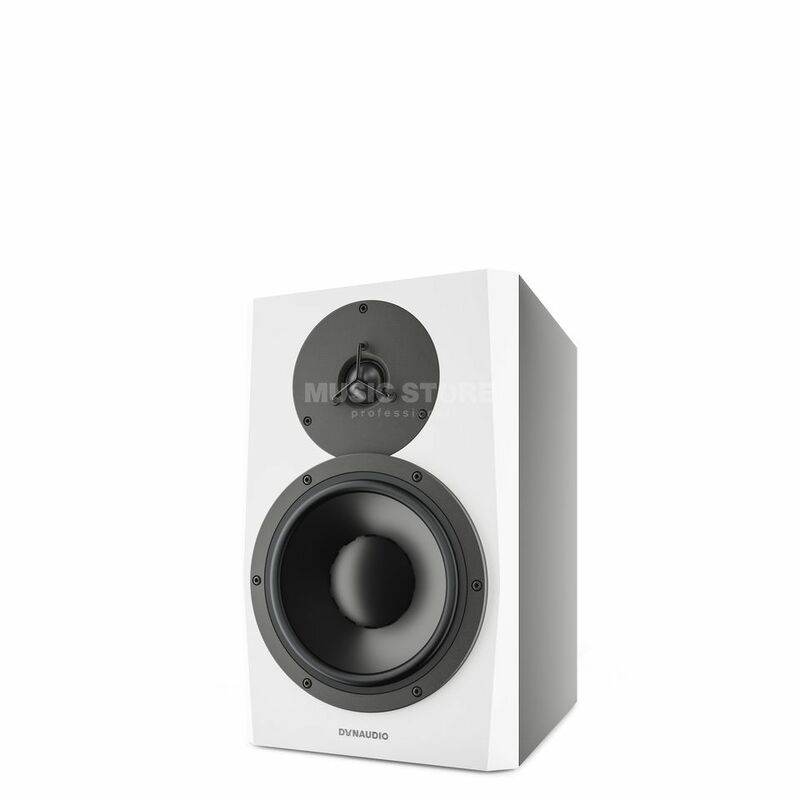 Due to the fact that low frequencies need a lot of energy and therefore membrane movement, every monitor design involves a compromise between low frequency reproduction and maximum SPL. By offering presets for the cut-off frequency of the woofer, you can choose to either have the speaker perform as loud as possible (+10Hz/+5dB) or as deep as possible (-10Hz/-5db). The 0Hz setting is our default factory setting. Neither of the three settings will influence the linearity of the frequency response though, so your mix remains pure. Placing a speaker close to a wall can prove to be problematic and this is especially true for bass-ported systems. The issue is primarily audible on low frequencies. Therefore we created two different tunings, one for when your monitors are free standing ('Free') and one for when they are placed within 50 cm of a back wall or closer ('Wall'). This will help to provide a more balanced response at whatever your choice of listening position. Different to simple Shelf-EQs that features on most studio monitors, the Sound Balance control is a so called 'Tilt-Filter' that lifts one end of the frequency spectrum, while lowering the other end by the same amount. This can be used to influence the frequency response of the monitor, without affecting the critical phase that EQ can influence on the imaging of your mix. Our tilt filter lifts 20 kHz by 1.5 db, while lowering 20Hz by1.5dB ('Bright') and the other way around ('Dark').